Harvard professor and outspoken political activist Lawrence Lessig is now exploring a bid for the White House. In a Tuesday announcement, Lessig told reporters that he’s prepared to take on Democratic presidential hopefuls by making campaign finance reform his core platform. Instead of relying on wealthy donors, however, he is crowdfunding his campaign online, and will officially run if he raises $1 million by Labor Day. His hope is to dismantle corruption in Washington by making citizen equality the central pillar of his presidency. In no sense do we have representative democracy in America. 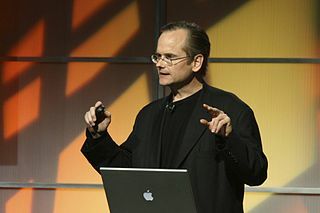 Lessig believes that money’s influence in politics has crippled what should be a representative democracy. The overall lack of campaign finance reform — along with the landmark Citizens United v. FEC decision — has made way for moneyed individuals having disproportionate power over political decision-making. Lessig says that, if elected, he will “hack” the system by serving as a referendum president, one who will focus his energies solely on passing the Citizen Equality Act. That act will undo political corruption by changing how elections are funded, guarantee the right to vote, and end partisan gerrymandering. After achieving all this, he’ll step down, paving the way for his vice president to finish his term. In no plausible sense do we have a representative democracy in America today. That fact shows itself in a thousand ways — from #BlackLivesMatter to billion dollar SuperPACs, and none more profound than the deep sense that most Americans have that their government is not theirs. “The system,” as Elizabeth Warren puts it, “is rigged.” And the fundamental challenge for our democracy today is to find a way to fix that rigged system. So far, Lessig has raised more than $67,000, with 28 days left in the campaign. This is only the latest effort he has made to address campaign financing and inequality. In 2014, he created the Mayday Super PAC to fund candidates who addressed the issue. Nearly everyone the PAC supported lost in their elections. Lessig has his work cut out for him.